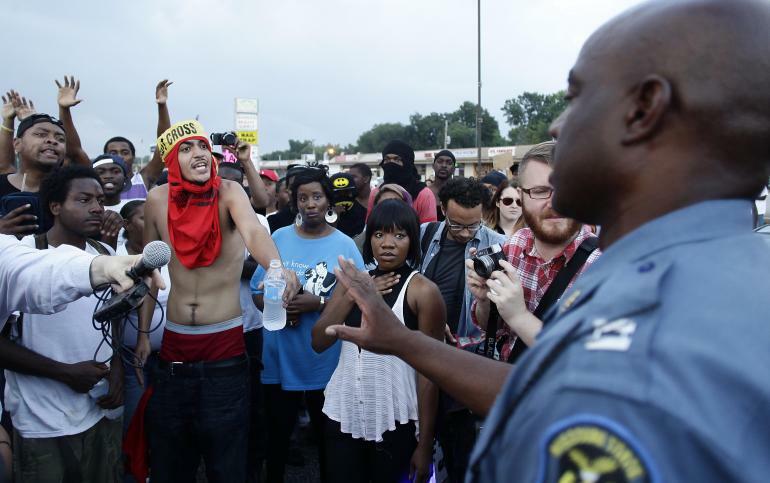 We explore the history of Ferguson, Missouri, and hear from individuals who live there. My co-host is Dr. Lawrence Brown, Assistant Professor of Public Health at Morgan State University. Our guests are: Jeffrey Smith, Assistant Professor in the Milano School of International Affairs, Management and Urban Policy at the New School, former Missouri state senator, and author of this article for the New Republic: “You Can’t Understand Ferguson Without First Understanding These Three Things: Reflections from a former state senator from St. Louis;” Dr. Clarence Lang, Associate Professor of African and African-American Studies and American Studies at the University of Kansas, Associate Editor of The Journal of African American History, author of Grassroots at the Gateway: Class Politics and Black Freedom Struggle in St. Louis, 1936-75, and co-editor with Robbie Lieberman of Anticommunism and the African American Freedom Movement: “Another Side of the Story;” and Senator Maria Chappelle-Nadal, Missouri state Senator for St. Louis County-District 14, who has been at the protests since the beginning.